We offer a variety of tours and water sports all around the Crete island. The sandy beaches with waist high water is a perfect playground for the first steps in wave riding. Our stations provides a full range of Surf - Windsurf boards, SUP, Bodyboards for all levels and needs, Jet Skis and many fun water activities. Everyone can have fun in the water with safety, from the young kids to adults. When the wind is west, north west, there are waves from 0,5m to 2m high and it is exactly what you need for your dreamed water activities. The spots are beaches break with sandy seafloor and waist to shoulder high deep water. It is a friendly places for your non-surfing partners too as they can go to the main beach to relax, or have a delicious lunch in the traditional fish tavern in front of the beach. 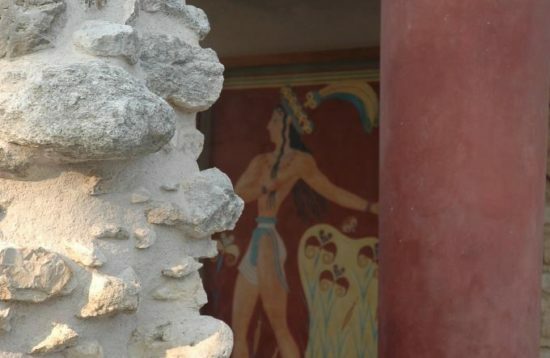 Explore the most hidden places and conquer the Cretan seas. Become part of our group and enjoy the Cretan sun & sea. The primary appeal is to observe the marine life in its natural environment and it is suitable for all age groups. 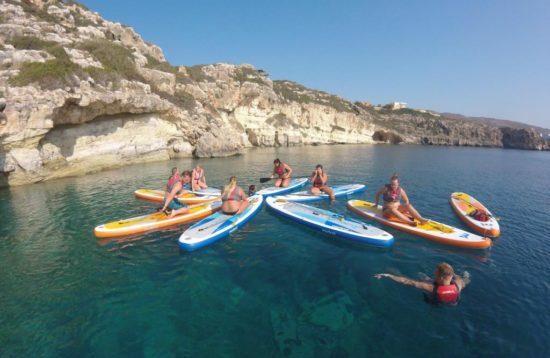 Loutraki’s crystal clear and calm water creates the perfect environment for you to stand on your paddle board!